Palo Alto, CA – July 20, 2017, uAvionix Corporation revealed SkyBeacon, the world’s first near zero-install ADS-B Out solution meeting the US 2020 ADS-B Mandate. SkyBeacon’s innovative design combines the latest LED navigation light technology with an ultra-compact Universal Access Transceiver ADS-B Out solution. With this solution, installation of ADS-B is as simple as changing a lightbulb. SkyBeacon will be available Q1 2018 for experimental and light sport aircraft. The new patent-pending design of SkyBeacon delivers bolt on 2020 compliance. 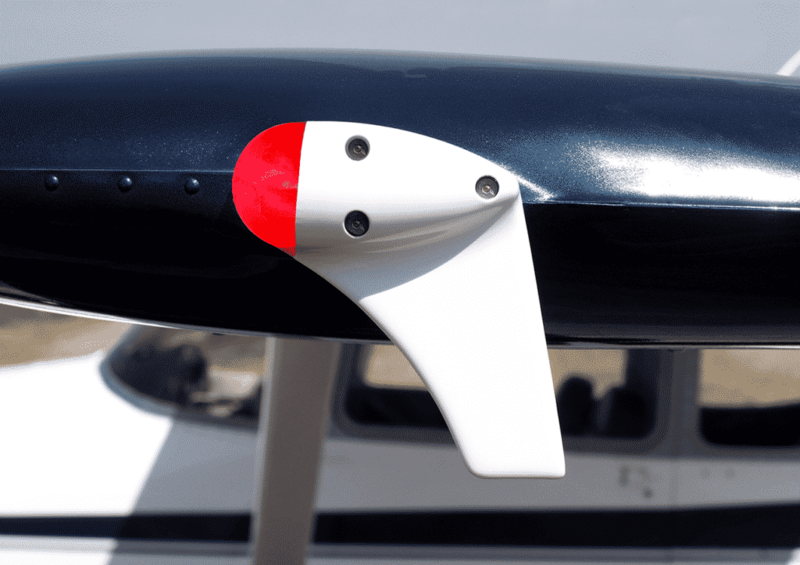 Remove the current wingtip position light and replace it with the SkyBeacon. The existing wiring and circuit breaker provide power, no airframe modifications or additional antennas are required. As an added bonus, the upgraded LED position lights deliver increased safety and night visibility at no additional cost. Goof-Proof Configuration: Upon initial power up, the SkyBeacon mobile application will automatically configure the ICAO address, emitter type, aircraft length, width and GPS offsets by accessing the aircraft registration information. The automatic configuration further reduces installation time and the number of misconfigured systems operating in the National Airspace. Broadcasting on the UAT/978MHz frequency, SkyBeacon offers rule compliant operation up to FL180 within the U.S. An optional matching companion position light will be available to provide ADS-B In capability. SkyBeacon is pending certification via approved model list (AML) for STC’d installation on hundreds of aircraft makes and models. SkyBeacon joins uAvionix’s ever expanding and innovative ADS-B product line at EAA AirVenture in Oshkosh, Wisconsin, July 24-30, 2017, Hangar B Booth 2118. A demonstration of the product installation will take place daily from 1:00PM-1:08 PM. uAvionix develops the world’s smallest, lightest and most affordable ADS-B transceivers, transponders, and GPS receivers. Based in Palo Alto, uAvionix has gathered a cross-disciplinary team of experts in embedded RF engineering, sUAS operations, avionics, hardware, software, and cloud services.